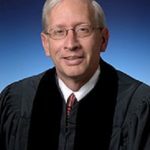 Please join us October 9th at the Queen City Club for our annual Judges’ Dinner, featuring Justice Patrick F. Fischer of the Ohio Supreme Court. Justice Fischer was elected to the Ohio Supreme Court in November 2016 and has over thirty years of legal experience, including two terms as a judge on the Ohio First District Court of Appeals. Justice Fischer also served as president of the Ohio State Bar Association and the Cincinnati Bar Association, and he had a long and distinguished career in private practice as a partner at Keating Muething & Klekamp. With an extensive career as a practicing attorney and in the judicial system, Justice Fischer offers a unique perspective for attorneys of all stripes in the practice of law. REGISTER HERE by October 4 at noon extended to October 6 at noon. No CLE will be provided.